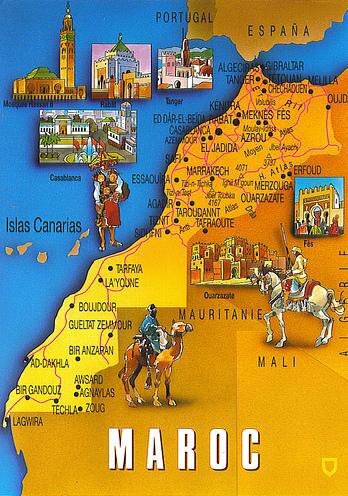 Morocco is the perfect starting point for travelers going to Africa. An easy hop across from Europe, it can be a friendly place, stimulating and full of surprises.There are bustling outdoor markets throughout the country with carpets, wood carvings, and jewelry. One of the main products of the country is leather, which they say is the finest in the world.